Climbing Their Way to the Top! Jamie Dunlavy is a rising 9th grader and will be attending Decatur High School in the fall. She has been climbing for four years and recently joined the Stone Summit climbing team located at the indoor climbing gym of the same name. She competes along with the team in sport and speed climbing. This year has been a great year for Jamie as she qualified to go to Nationals—a climbing event for youth under the age of 18 years held at Stone Summit and hosted by USA Climbing. Jamie came in first in sport climbing in her Division and 5th in speed. She, along with approximately 100 other kids, then spent the next 3 weeks training intensively—6 days a week for 8 hours a day to prepare for Nationals. Jamie competed in both speed and sport climbing at Nationals. 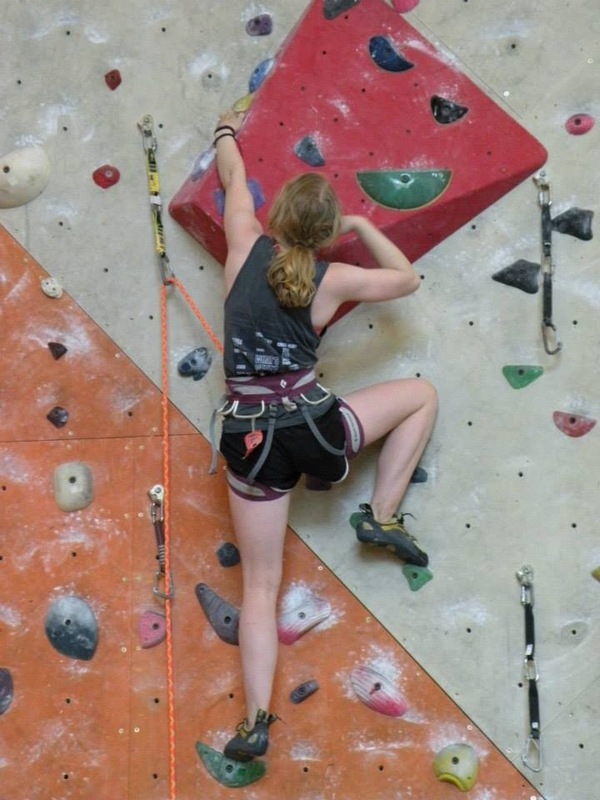 While doing very well in sport climbing (she placed 7th), she did better in speed, placing 4th amongst the best speed climbers in her age bracket who came from all over the USA to compete. All climbers who place first through fourth place receive an invitation to compete in the Youth Worlds Climbing competition, which this year is being held in New Caledonia—a collection of islands off the north east coast of Australia. The athletes accepting invitations to Worlds will be representing the USA as part of the Team USA climbing team. Jamie and her teammate, Amanda Wooten, who placed 4th in an older age category, have accepted their invitations and will compete in speed in the third week of September in Noumea New Caledonia against girls from Europe, South America, Canada and elsewhere. The girls are expected to come up with approximately $4,000 each and have started a gofundme page to (hopefully) secure donations to help get them to Noumea. The page can be found at http://www.gofundme.com/bqfsh4. If you are looking for a good cause to support, you may want to help these young ladies get to Noumea!